Posted May 9th, 2012 by mike & filed under Exhibitions, News. 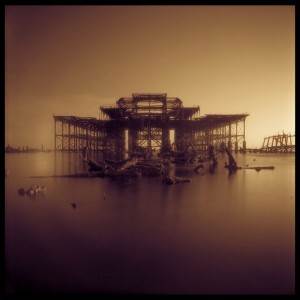 I am lucky enough to be exhibiting at Iydea again during the Brighton Festival. 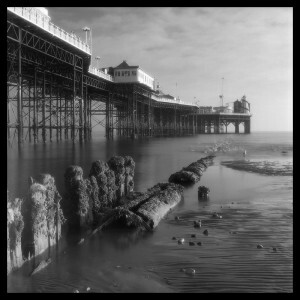 This time it is all handmade darkroom prints, from film negatives shot in manual, medium format cameras. This includes some large prints nearly two feet square and prints onto canvas using liquid emulsion. Come and drop in if you are passing. The food is excellent and I would love to know what you think of the work. Exhibition closes on 27th May. 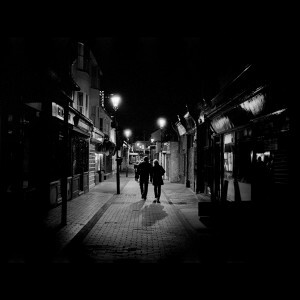 Posted May 2nd, 2012 by mike & filed under Exhibitions, News. 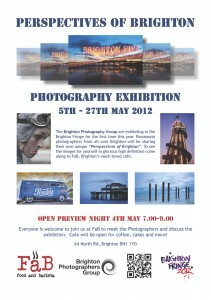 The Brighton Photographers Group are having an exhibition as part of the Brighton Festival Fringe. It’s a wide-ranging exhibition installed at Food and Barista. 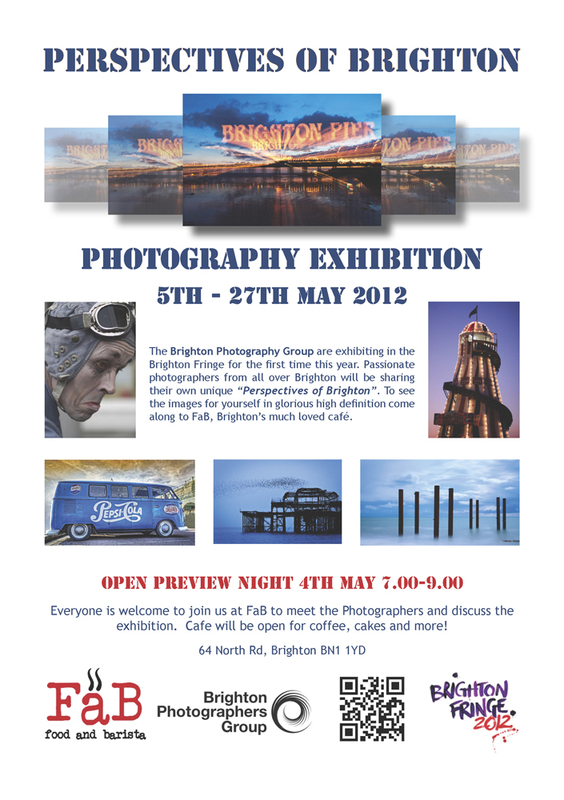 The preview evening is on Friday 4th May if you want to pop in. I put forward a few images and was lucky enough to have two chosen, so there was a bit of panicky printing going on yesterday! It is opening throughout the festival, so if you are in the area, nip in, grab a coffee and enjoy some of the best photography Brighton has to offer. You can even purchase many of the prints. Posted February 6th, 2012 by mike & filed under News. 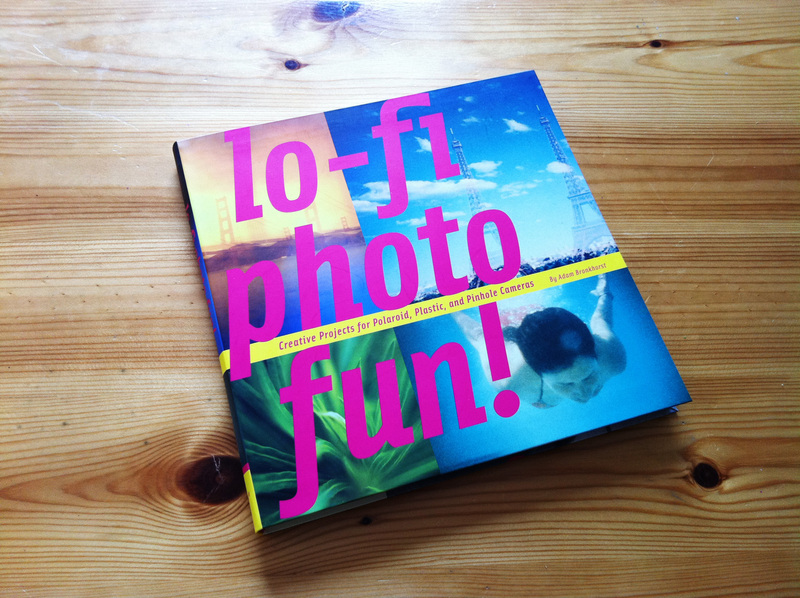 I’m dead chuffed to get my copy of Adam Bronkhorst‘s new book “Lo-Fi Photo Fun”. 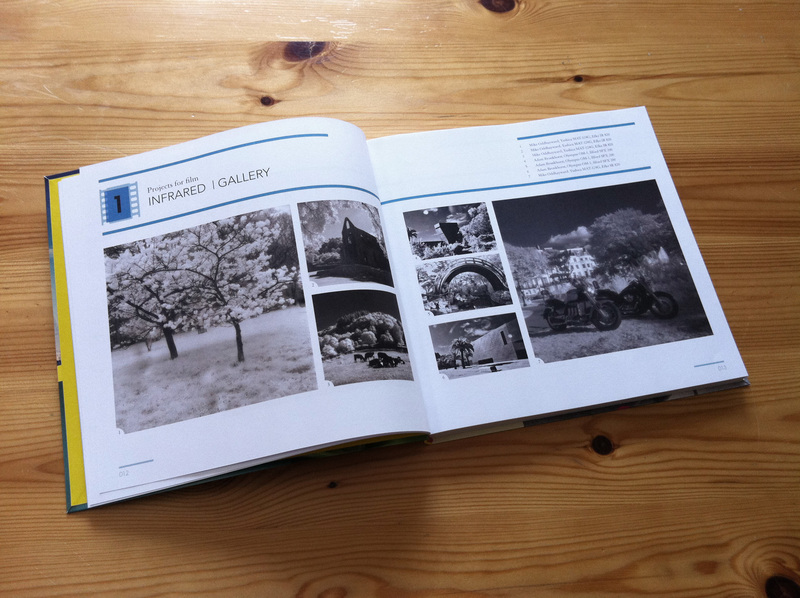 It was great to do some DIY film developing with Adam and he also included a couple of my photos in his book to illustrate infra-red film photography and home colour film development. Adam is the warmest guy you could hope to meet – and an outstanding photographer too. The book is quite inspirational, has some fabulous pictures in it and gives all the camera/film combinations for the shots so you can go out and try it yourself. So if you are looking to get creative with toy plastic and film cameras, do try to get hold of a copy. Posted June 5th, 2011 by mike & filed under Exhibitions, News. Posted November 5th, 2010 by mike & filed under Exhibitions, News. 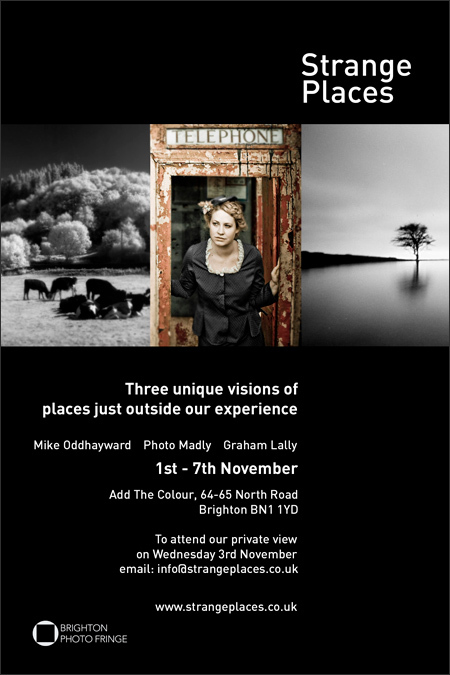 I’m really pleased to be exhibiting with Steve Wrigley at the Iydea in Brighton’s North Laine from November through to the new year. Steve is a lovely bloke and a brilliant photographer. Here’s an image from a filmswap we did together. He shot the film first, then he rewound it and I shot over the top. The exhibition is a mix of my hand made prints, double exposures and filmswaps, with Steve showing some beautiful urban double exposures and cross-processed 35mm work printed on metallic paper. I hope you can get down the the Iydea for a look and try some of their amazing food too. Posted October 30th, 2010 by mike & filed under Exhibitions, News. 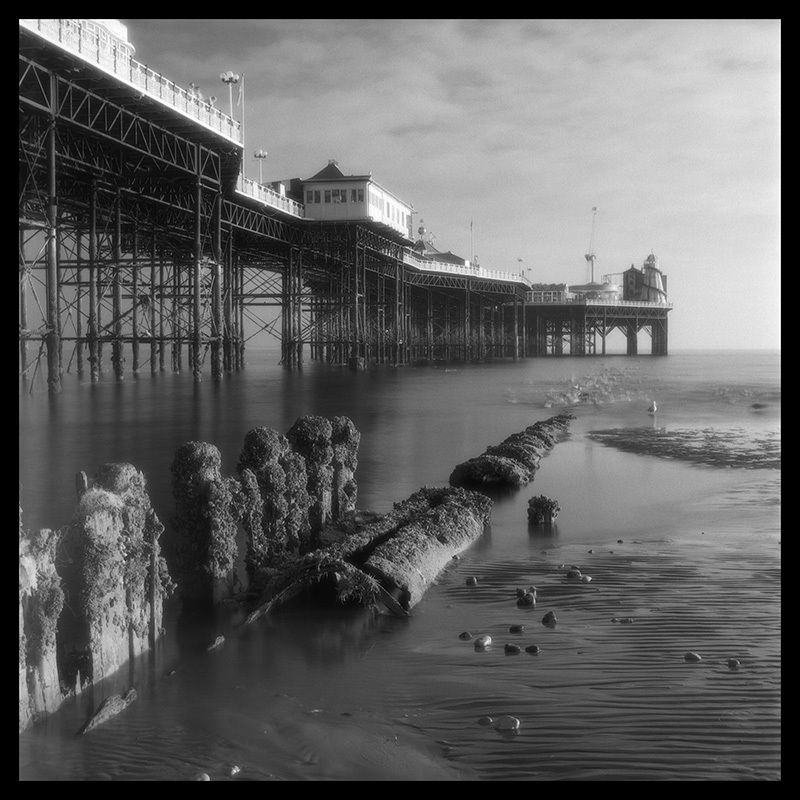 I am exhibiting as part of the Photo Fringe in Brighton’s biennial Photography Festival. Four of my hand-made prints are showing at Add The Colour alongside work from Erika Szostak and Graham Lally. The work is wholly analogue, from 120 film shot on a manual Yashica Mat 124G through home development of the negatives to the making of darkroom prints on handmade photographic paper. 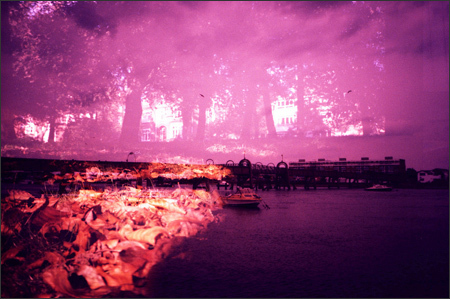 The film used is an infra-red variety which gives black skies, white leaves and a surreal atmosphere to the images. The hand made silver prints are available in limited runs of ten each. I like to make photographs. For me that is an anlogue process, from loading the film into an old mechanical camera, winding the cogs and releasing a cloth or steel shutter, sloshing the film through developer and fix, and then printing onto thick fibre based paper in a glowing-red darkroom tangy with chemicals. Its real from end to end, light and silver, and the pleasure of a made object that captures a time and a place that will never come again.